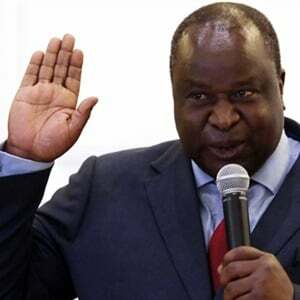 If SA ends up in a debt trap, we will have to go cap in hand to the International Monetary Fund for help, warned Finance Minister Tito Mboweni. The finance minister on Thursday briefed members of Parliament on the mini budget in a joint sitting of the Standing Committee of Finance and the Standing Committee on Appropriations, as well as their select committees. 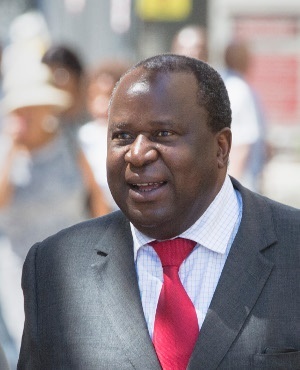 Mboweni lamented SA's low growth rate, which is nowhere near levels of 5% in past years. He added he had to tell the numbers as they are. "If we do not do anything in our situation - in outer years will face a debt to GDP ratio at or about 60% of GDP. "When that happens- we are very close to having serious conversations with the IMF," he told MPs. "We don't want to do that," he stressed. As this would mean the IMF would take over the running of SA's finances. "Whether you like the IMF or not- ideologically or practically - if we end up in a debt trap that's where we will end up." Treasury Director General Dondo Mogajane echoed these views, having represented SA at the World Bank for a number of years. He said it is difficult for an African country to put forward a strong case for a loan from the IMF. These loans also have attached conditions. "We don't want to be there … it’s something to avoid at all costs," said Mogojane. He added that SA cannot continue to irresponsibly manage finances, but there is still room to make adjustments by taking advantage of "low hanging fruit" in order to "get to the other side". Mogojane said that if SA does not do anything about the low growth, now revised down to 0.7%, it will be difficult for SA to sustain itself. Mogojane said that if investment and confidence rises, then SA could reach higher growth of 2.3% by 2021. Even this is not what it should be he said, it would be ideal to be growing at levels of 5.6% or even more.